From trying to install 21st century avionics on 1960s helicopters to buying landing craft that crack and can’t fit onto their motherships, defence procurement in Australia has been fraught. Within this context David Peever’s First Principles Review, the 36th significant review into Defence since 1973, was commissioned. Given the cost and importance of defence, especially platform acquisition, it’s no surprise that we have had almost as many reviews as we have had years since 1973. I completely agree that there’s a dire need to reform capability definition and procurement. The need for a truly professionalised capability development function is clearer than ever. The ANAO found that 79% of staff at the Capability Development Group (CDG) had worked there for less than 5 years and 20% of project managers stated that they had no skills or experience as project managers before they had their first project to manage. It was amazing to read this finding. The report also showed that 70% had no or below average skills and experience in managing a project of the size that they were currently tasked with. This pointed to an organisation that had project managers with poor training and experience. The ANAO also revealed that there was a total focus on getting projects approved by government but very little focus on running a project on time or budget. Contestability was weak and not at arm’s length. Many have disputed the cost claim, but the performance of DMO had been suboptimal for some time and change was needed. But was this the correct change? The First Principles recommendations directly contradict the most recent, significant defence procurement reviews. ‘One Defence’ represents a massive centralisation of power within the mainstream defence organisation. But it ignores what really went wrong with the DMO. The real problem with the DMO was that it was in no-man’s-land. It wasn’t completely outside the Defence organisation, therefore it lacked independence and accountability. But it wasn’t completely within the Defence organisation either, which meant it was exposed to intra-Defence conflicts. This was because governments of both persuasions were unable to implement strong recommendations from two landmark reviews of Defence—the Kinnaird and Mortimer reviews. Both reviews recommended that the DMO should become an executive agency. Neither the Howard government nor the Rudd governments were able to get broad enough support within and outside Defence for DMO to become an executive agency. Instead, it became a prescribed agency, where it was separated from Defence but not given the independence, the budget and the authority to act as a commercial project manager. The limited DMO reform did lead to some improved performance, most notably in schedule performance. For example, of the 30 top acquisition projects listed in a report  tabled in Parliament in December 2014, 87% of the schedule slippage was in projects approved before 2007. But we also we have seen the tensions with Defence over financial control and budgeting. The DMO also failed, in most cases, to attract commercial talent. We’ve seen unnecessary layers of management develop. The ultimate sin was that the DMO was unable to consistently provide real contestability around acquisition strategies or industrial realities. That led to many poor acquisition outcomes. It was unsustainable for DMO to be structured as it was before the Peever review. It had to be either fully out of Defence or fully within Defence. However, risks arise from the abolition of the DMO and CDG. First, the risks are around contestability. I have concerns about whether the Policy and Intelligence Group will be able to provide the genuine contestability to challenge the capability definitions process being driven by the service chiefs. It isn’t just about rigorously defining military capabilities. It’s about providing truly independent advice on the financial, technical, industrial and economic implications of certain capability options being developed. There’s also a risk in replacing CDG and DMO while we are undertaking acquisitions of submarines, future frigates and LAND 400 vehicles. To effectively abolish the CDG and the DMO while developing projects that cumulatively will cost more than $80 billion is a high risk indeed. There’s also a risk that capability managers will specify narrow needs and timelines to game the system. This leads to a lack of real contestability, risk reduction and lack of focus on Australian options. I saw an example firsthand, which was around LAND 121 Phase 4. 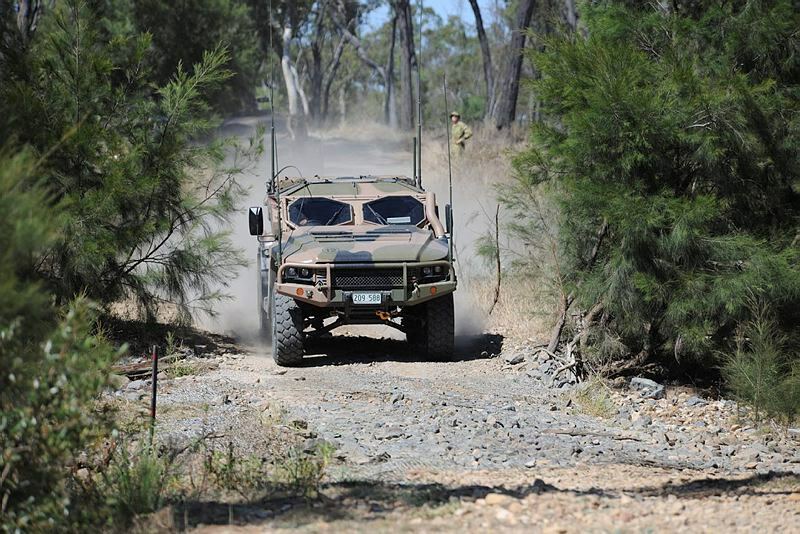 Some parts of the Defence Organisation had their hearts set on the developmental US Joint Light Tactical Vehicle, and they specified timelines, processes and requirements that effectively ruled out almost every other option. It was only because of real leadership within the Labor Government at the time, driven by Greg Combet, that we saw an Australian option kept on the table. In the end the Australian option was chosen ahead of the US option. It is more suited to our needs and will secure hundreds of Australian jobs. This is an example of the risk of giving too much power to one part of Defence without having true contestability. The First Principles recommendation to abolish the DMO and CDG may pay off. It may lead to a truly integrated defence organisation with improved procurement. But the risks are considerable. What happens if true contestability is lost? What happens if there is less focus on commercial reality? One Defence may be created, but what sort of Defence will it be? Pat Conroy is the Federal Member for Charlton. He served as Defence Materiel Adviser to the Defence Materiel Minister from 2008 to 2010. He is Deputy Chair of the Parliamentary Joint Committee of Public Accounts and Audit that oversees the DMO/ANAO Major Projects Report and sustainment activities. Image courtesy of Department of Defence.